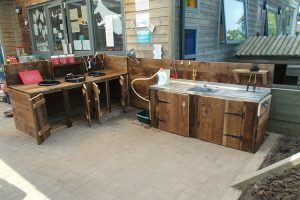 The Pre-school Gruffalos’ Room, complete with Teacher, caters for 24 children from three to five years of age for sessional day care. We run this in sessions of three hours which gives you the flexibility to choose the sessions that work for you and fit in with your family and work life.These sessions are planned and led by our Early Years Teacher Nicole Burch. We work with the government to provide free childcare for up to five sessions per week, but are more than happy to offer extra sessions for an additional fee. Early Years funding is available from the first term after your child turns three. Your child can attend a morning or afternoon session – or both! If staying for both the morning and afternoon sessions your child can bring in a packed lunch or we can provide a hot lunch at a small additional fee to cover the food and the lunch period. The Pre-school Gruffalos Room is designed for that first step into your child’s educational years. 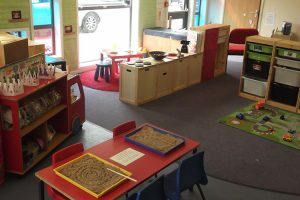 We plan days using the Early Years Foundation Stage (EYFS), which are also supported by your child’s key worker recommendations – we take into account your child’s strengths and weaknesses in order to guide them gently in the right direction and so that they can learn at their own individual rate. The spacious Pre-school Room has a ‘free-flow’ system which means your child can chose to play inside or out. We have a large canopy just outside which allows for play outdoors in any weather, whether it’s raining or snowing! The Pre-school Gruffalos Room with its low level windows gives the children a lovely view onto the school that they will be moving up to. This allows them to watch their friends at play and gain insight into the school they will be going to. The Pre-school Gruffalos Room has been designed for your child’s level with low level sinks and toilets in individual cubicles. We have a large selection of toys that promote learning in fun ways. We make sure these are rotated so that each child gets to play with lots of different toys and never get bored. We do like to mix things up a bit and go out into the village to the park for a play and encourage your child to be independent. We find that being really close to the primary school is very beneficial for a relaxed transition up to primary school. We do have a good relationship with the schools Early Years team so you can be guaranteed of a smooth transition when the time comes for them to move on to the ‘big school’.